For over 50 years, Big Eddy Marina’s Boat Slip Rentals has made life easy for floating home owners and tenants to enjoy the river. They don’t have to deal with all the hassles of public boat launches, so they can spend more time on the river and less time getting ready to launch their boats. To keep the marina safe and carefree, each customer leasing a seasonal boat slip must be pre-approved and all boats must have liability insurance. Email jack@bigeddymarina.com for boat slip inquiries. View the Dock Diagram for your boat rental slip preference. Download the 2019 Rate Sheet. For boats in size from 28 ft. up to 60 ft. in length. Slip rentals average $8.00 ft./per month. For boats in size less than 24 ft. These side ties average $210/per month for a 7-month lease. Seasonal leases available at a higher monthly cost. Big Eddy makes life easy for seasonal fishermen. Unlike a public boat launch, you don’t spend any time waiting to get on the launch, putting your boat in the water and then searching for a safe place to park your vehicle and trailer. Call Big Eddy marina to reserve a slip today. 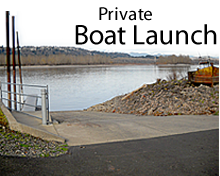 What’s more, the marina offers a modern fish cleaning station available to tenants renting boat slips at Big Eddy Marina. 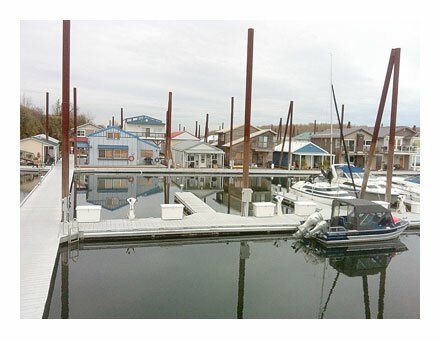 And the State of Oregon designated Big Eddy as a certified Clean Marina.